Caregiving is intimate . . . it made me fall in love with my husband all over again. It was a hot summer day, but a good day for Rich. He was strong enough to accompany me to a dinner function. As you can see. I was thrilled. 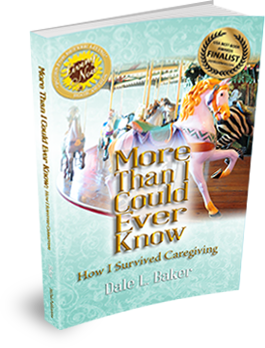 More Than I Could Ever Know: How I Survived Caregiving is a best seller in the Arizona retirement community of Westbrook Village. Residents there quickly climb on board Ms. Dale L. Baker’s carousel and follow her through the ups and downs of caring for her dying husband. They savor her love story; treasure the lessons learned listed at the end of most chapters. Available in paperback and e-book format, her book is usually read in one sitting, then passed on to another caregiver, if not kept for reference. Often gift copies are bought. 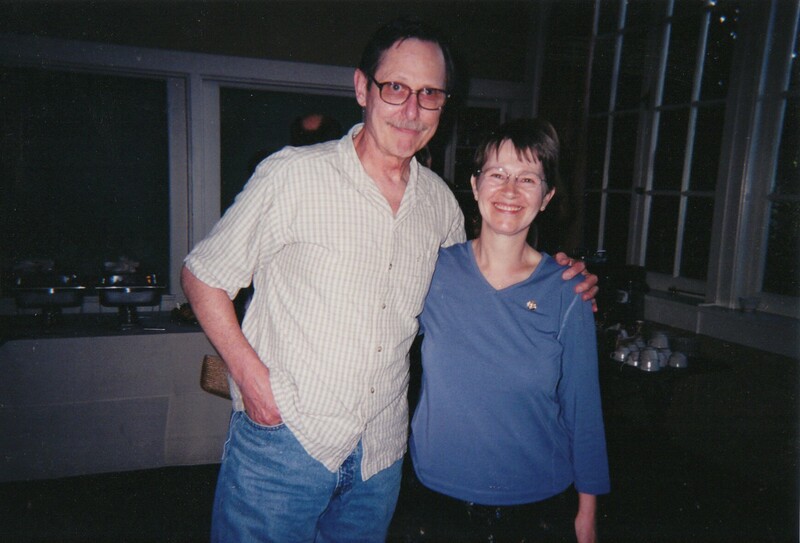 Now, two national book competitions, the Living Now Book Awards and the USA Best Books Awards, have recognized More Than I Could Ever Know: How I Survived Caregiving as more than a how-to manual to overcome caregiver burnout. On September 16, 2014, the Living Now Book Awards presented by Jenkins Group of Traverse City, Michigan honored excellent newly published books that enrich readers’ lives in 38 lifestyle categories from cooking to spiritually. Ms. Baker’s book was the Bronze Medal Winner in Caregiving. On November 12, 2014, USABookNews.com, the premier online magazine featuring mainstream and independent publishing houses announced USA Best Book Award winners and finalists in over 100 categories. More Than I Could Ever Know: How I Survived Caregiving placed as a Finalist in the “Health: Death & Dying” category.